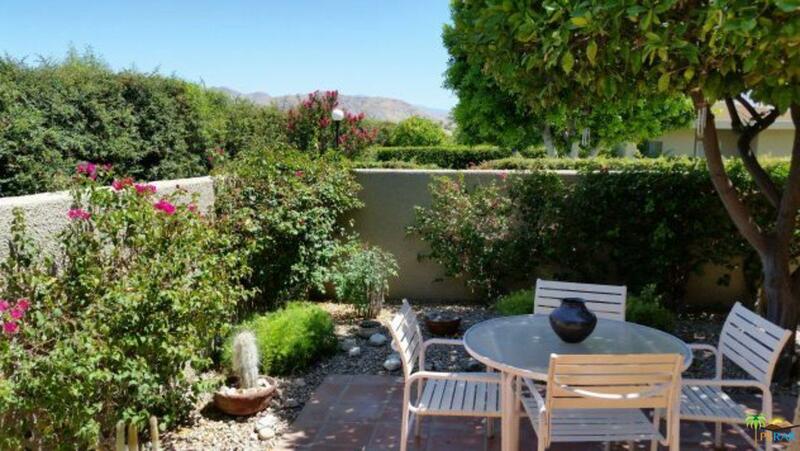 Private end unit with great south-facing mountain views. Courtyard entry with patio/BBQ area. 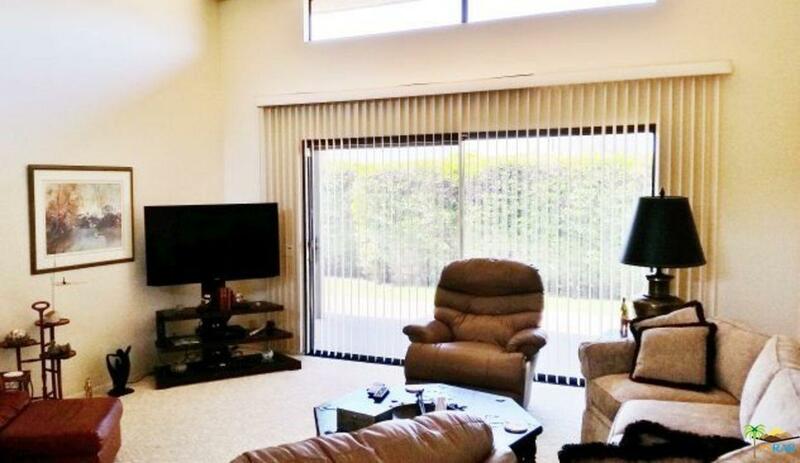 This spacious two bedroom unit with clearstorywindows is light, bright and airy. 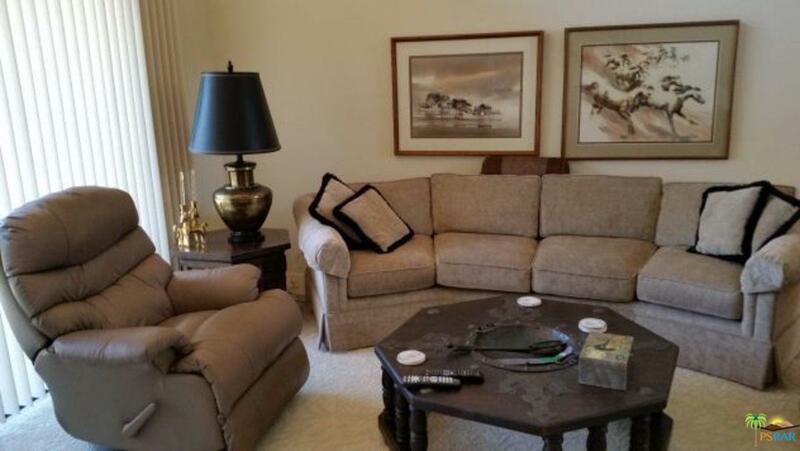 Great separation of bedrooms on either side, large living room with fireplace. Master en suite features a nice king bed, walk-in closet, private bath. Guest bedroom has Queen bed, private bathroom. 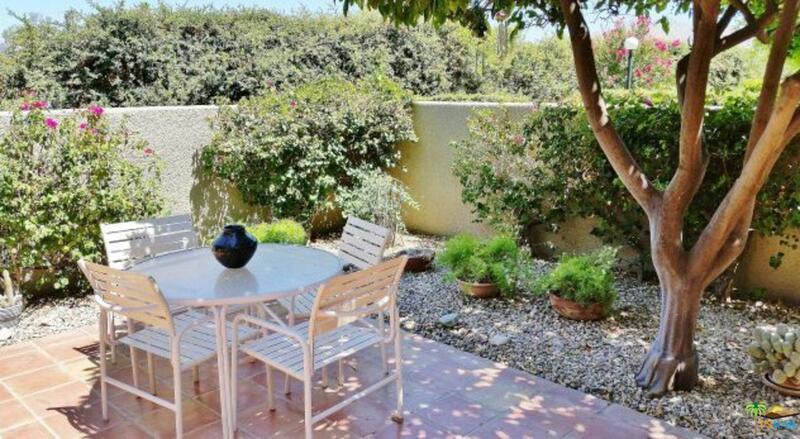 Fully stocked and nicely appointed this is oneof the best locations within the Rose Garden. Enjoy your privacy. One car attached garage. Close to downtown & entertainment, restaurant area. Easy access to biking/hiking trails, golf. Rose Garden amenities feature two swimming pools, two spas, three tennis courts with one also fittedfor pickle ball. Enjoy your desert getaway and lifestyle fitting a first-class resort! No smoking, no pets, 2-3 month minimum please.courses, shopping, library, Sr. Center and more!